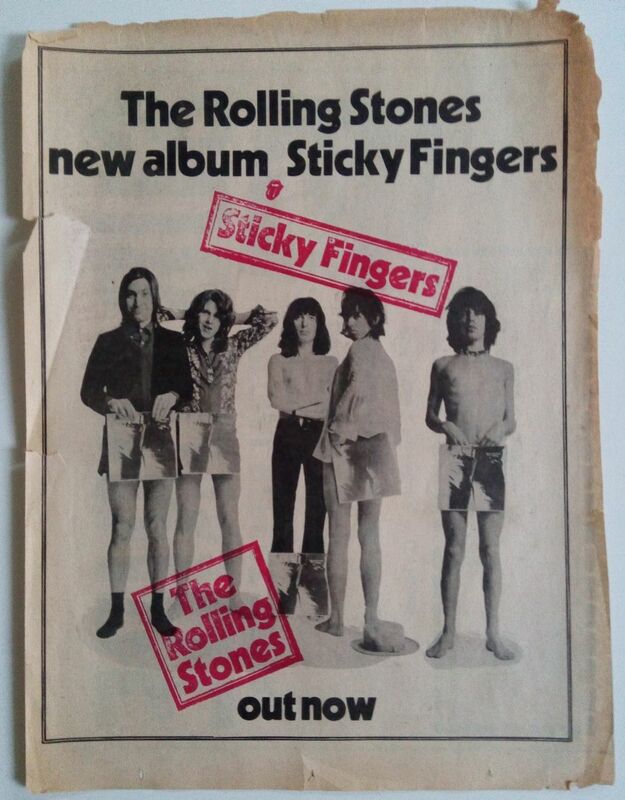 Sticky Fingers: Can we show you something nice in a jacket? 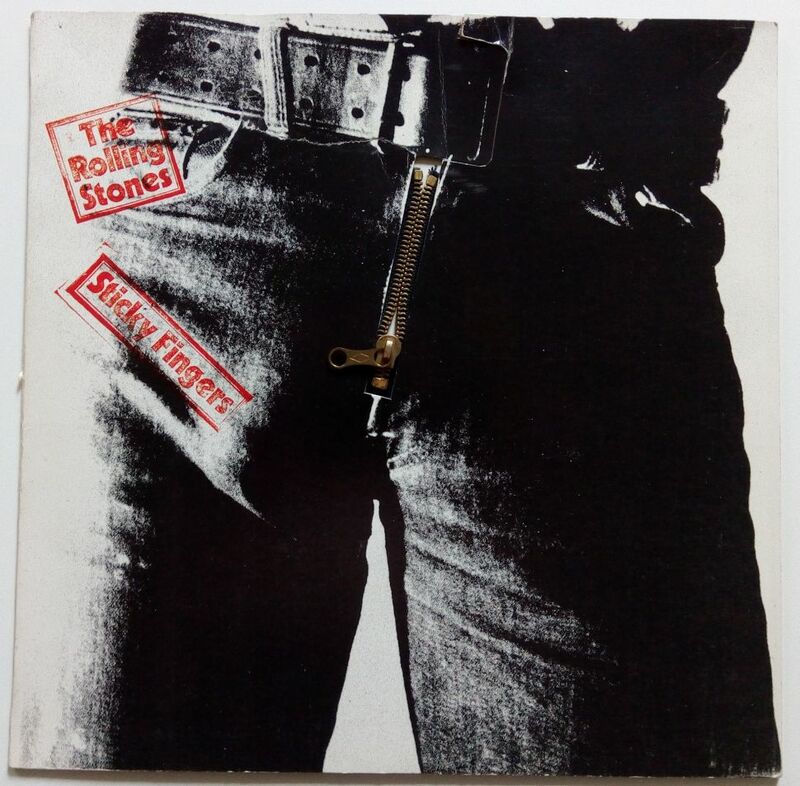 No need to say that Andy Warhol’s cover concept for the Sticky Fingers album, in which you could unzip a man’s jeans, and see his generously filled underpants underneath, was quite revolutionary (and scandalous). 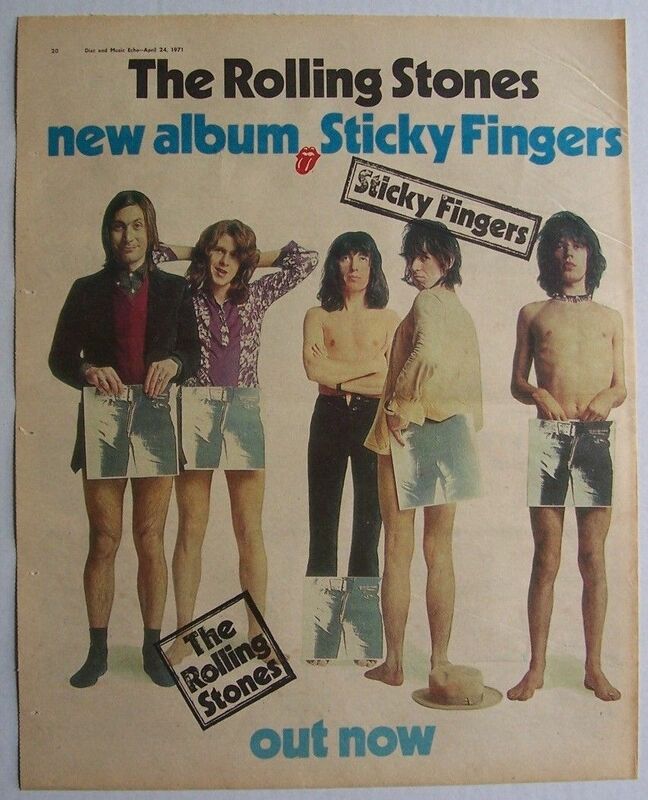 Warhol and designer Craig Braun, whose company fabricated the complex cover, were nominated for a Grammy Award for Best Recording Package in 1972. 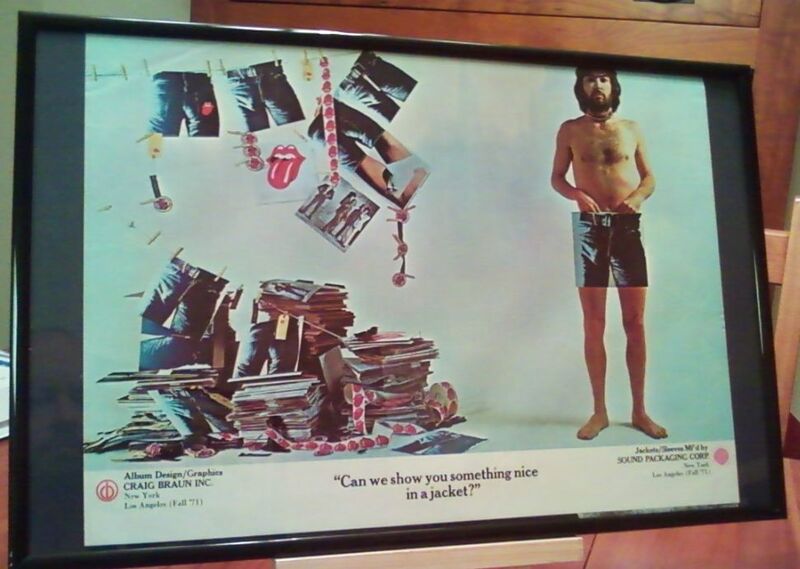 At the time of the release in 1971, the album was widely promoted by Rolling Stones Records with a photoshoot by David Montgomery, of scarcely dressed band members holding the album cover on strategic places. 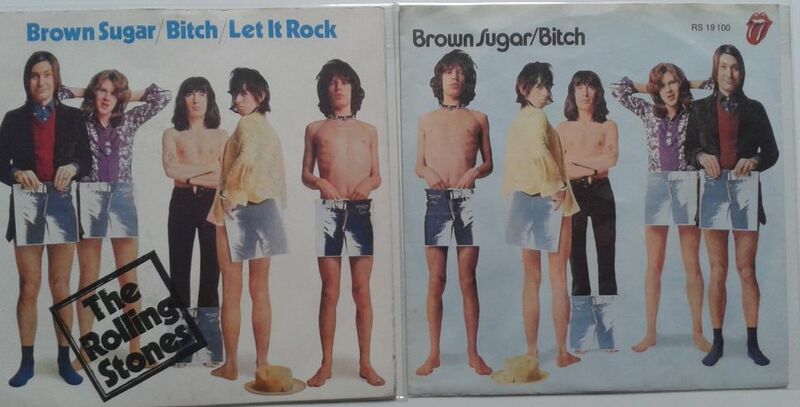 This shoot was also used as cover art for the single Brown Sugar. 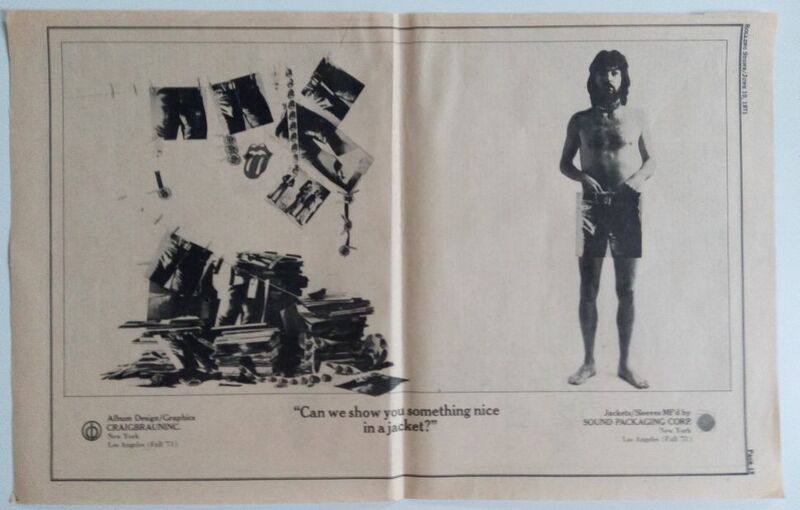 Craig Braun, being very proud of his achievement, posed personally in similar ads, that did not actually promote the record, but rather his company Sound Packaging Corp. with the text: “Can we show you something nice in a jacket?”. 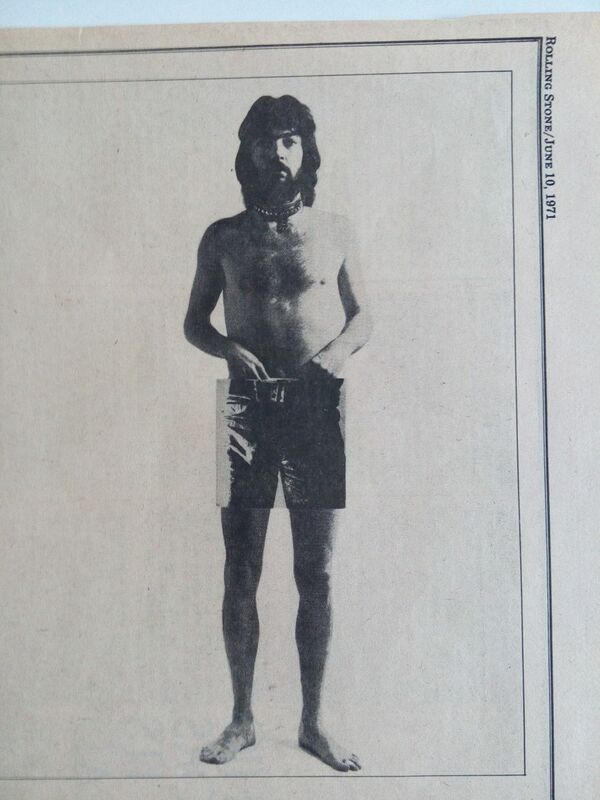 Braun was very confident that Warhol and himself would win the Grammy, but they did not. The Grammy went to an album called Pollution, by a band with the same name. Listen to Braun talking about his disappointment in this video (around 5:30). If you have 11 minutes to spare, do listen to the complete interview, it’s quite interesting.